Carrum Downs is serviced by three shopping precincts, with a fourth bordering the suburb in neighbouring Seaford. The Carrum Downs Regional Shopping Centre is located on Hall Road in the centre of the suburb and is home to banks, a Woolworths Supermarket, a Post Office, chemist, newsagency plus 40 other shops including liquor shops, clothing stores, fast food outlets, restaurants and real estate agents. During 2014 a smaller format Bunnings store has opened to combat the opening of Masters just down the road while a full Bunnings Warehouse is under construction nearby to open during 2015. In early 2015 development began at the eastern end of the shopping centre of a substantial extension housing a KMart speciality store. During October and November 2014 a McDonald’s store was being constructed on a section of the car park fronting Hall Road. The Local Village Carrum Downs is located on the Dandenong-Frankston Road and comprises approximately 12 shops including an IGA supermarket, cafe, bakery, newsagency, salon and pharmacy. Directly opposite the precinct is another small retail / business park. The third shopping precinct which opened in 2008 and remains partially vacant, is located on the corner of McCormicks Road and Ballarto Road in the south of the suburb and includes 22 specialty shops as well as a Coles supermarket. Seaford is a suburb in Melbourne, Victoria, Australia, 36 km south-east of Melbourne’s central business district. Its local government area is the City of Frankston. Seaford is home to several public park spaces including three with barbecue facilities and playground equipment. Seaford Scout Group, one of the earliest Australian chapters, merged with Carrum to form the Seaford Carrum Scout Group. Seaford is home to Seaford United Soccer Club competing in Men’s State League 2 of the Victorian Football Federation and the Seaford Australian Football Club competing in the Mornington Peninsula Nepean Football League, both using the ‘Tigers’ nickname. The suburb is also home to two cricket clubs, the Seaford Cricket Club (Est. 1924) and also, the Seaford Tigers Cricket Club (Est. 1990) who compete in the Mornington Peninsula Cricket Association. Southern Districts Rugby Club has its base in the north of the suburb. In February 2011 the Australian Football League’s St Kilda Football Club officially opened its $10.25 million training venue at Belvedere Park in Seaford. Keast Park is a 2.5 hectare award-winning public park situated at the northern end of the Seaford foreshore on Port Phillip Bay. The master plan for the park was designed in 2004, the project explored ways to protect the ecology of the sensitive foreshore environment with the functional requirements of the public park. The park serves a broad range of functions, including the Carrum Bowls Club, the sea scouts, public toilets and change facilities, a multi-purpose community space and a small café. Somerville is a town in Melbourne, Victoria, Australia, 53 km southeast from Melbourne’s central business district, and forms part of the urban enclave on Western Port comprising Somerville, Hastings, Bittern, Crib Point, and Tyabb. Its local government area is the Shire of Mornington Peninsula. At the 2016 Census, Somerville had a population of 11,336 up from 10,730 in 2011, 10,704 in 2006 and 10,049 in 2001.The size of Somerville is approximately 38 km². Originally an orchard town Somerville has experienced significant population growth over the last twenty-five years. It is served by Somerville railway station on the Stony Point Line, as well as a bus service to Frankston. Yaringa Marina, east of the township, offers boat access to Western Port. Somerville is experiencing urban growth with an expanding residential area surrounding its retail and commercial hub. Somerville has a vast shopping district with both Woolworths and Coles supermarkets, Target, Aldi and other specialty shops. The iconic Somerville Hotel is a well-known landmark. There are many parks and playgrounds scattered throughout the area, including the Jones Road Oval and the Fruitgrowers Reserve. The Mechanics’ Hall is a popular venue hosting local bands and small school concerts. On 7 January 2015, a massive storm ravaged Somerville and the neighbouring town of Tyabb, ripping the roof off the hall. The roof was restored the following week. Peninsula Pottery Industries which operated from 1901 to 1979, made bricks for some of the historical buildings in Somerville including St. Andrews Anglican Church and The Somerville Hotel in 1901, but all historical kilns and the chimneys were removed in 2004. ”Peninsula Pottery Industries” was offically deregistered in 1979. Residential development occurred to the south of the pottery a few years after the closure including Wellington Road and Highfield Way estates. The clay pottery reopened in 2015 after years of closure and is now owned and operated by The Bayport Group located at 9 Pottery Road, Somerville, where they are digging to a depth of 30 metres over the 60 acres. With its convenient proximity to Cranbourne, Mornington and metropolitan racecourses Pearcedale is home to numerous racehorse trainers, jockeys and others associated with Victoria’s thoroughbred racing industry. A number of greyhound and harness racing trainers also reside in the area. Equestrian trails and private agistment facilities provide many equestrian enthusiasts with the opportunity to enjoy their craft. Pearcedale Pony Club hold a rally for its members on the second Sunday of each month. The club is affiliated with the Pony Club Association of Victoria. 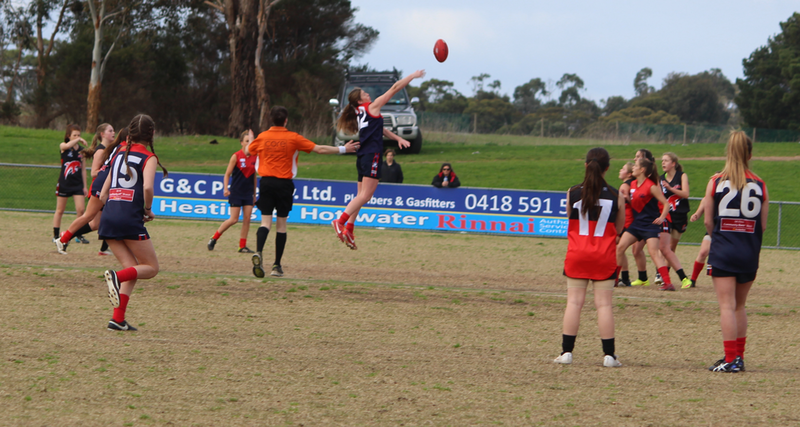 Pearcedale Football & Netball Club represent the town in men’s and women’s Australian Rules football. The club was a foundation member of the Peninsula Football Association in 1898 and is a current member of the Mornington Peninsula Nepean Football League along with its women’s netball teams. The junior Australian rules football club, Pearcedale-Baxter Junior Football Club, have junior boys and girls teams competing in the Mornington Peninsula Junior Football League. Make the short journey from Melbourne to experience life in a historic fishing village, and uncover a treasure trove of vintage finds. Watch the great birds assemble on the Hastings foreshore as you dine on the day’s catch and sip regional wine to the sounds of live music. For more energetic relaxation, have a dip at the Pelican Park Aquatic Centre. Catch the angler’s bug from watching the fishing boats out on the water. Learn some new skills on a fishing trip or take a cruise around Westernport Bay. Jump in and cool off at nearby swimming and surf beaches.Meet local characters, including the nocturnal bettongs, quolls, and pademelons at the Moonlit Sanctuary, and see the koalas on French Island (catch the ferry from nearby Stony Point). 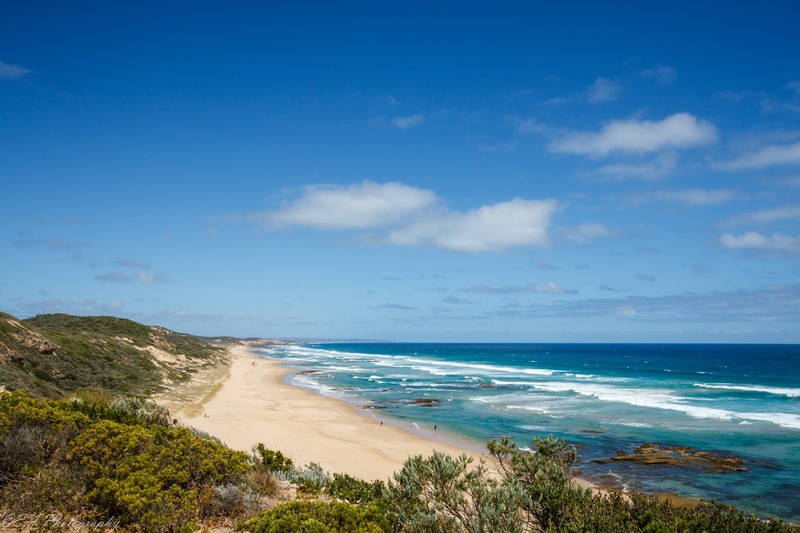 Flinders is located close to the southern tip of the Mornington Peninsula, fronting onto the calm waters of Western Port in the west and offering a rugged coastline of cliffs and ocean beaches along its southern frontage onto Bass Strait. Flinders is an appealing holiday destination due to its scenic coastal location amongst rolling green hills and the fact that commercial development seems to have forgotten this town, instead preserving the area’s natural beauty and scenic views. A number of historical buildings exist within the town, complemented by several antique shops, the Flinders Fine Art Gallery and the popular Flinders Bakehouse Cafe. Attractions along the coast include Bass Park which provides spectacular views down to the Flinders Jetty and across Western Port, as well as being home to a monument dedicated to George Bass and Matthew Flinders who were the first explorers in the area. The Flinders Golf Course is situated above the cliffs and ocean beaches to the south, overlooking the Mushroom Reef Marine Sanctuary and bordering the Mornington Peninsula National Park. To the west of Flinders, just off Boneo Road, is The Blowhole which includes walking tracks along the rocky coastline and over huge bluestone boulders. 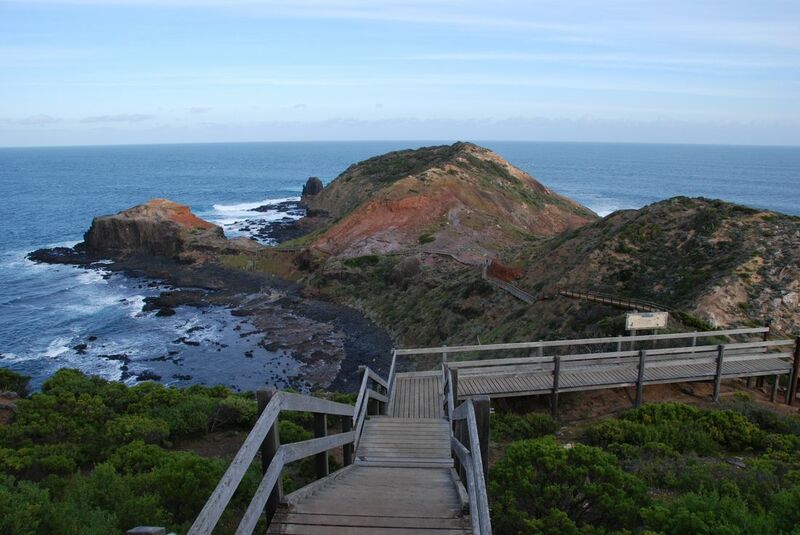 Around 12 kilometres west of Flinders is the small community of Cape Schanck, known for its golf courses and the historic lighthouse situated at the rocky southern most tip of the peninsula. The town has an Australian Rules football team competing in the Mornington Peninsula Nepean Football League. Mornington has a horse racing club, the Mornington Racing Club, which schedules around twenty race meetings a year including the Mornington Cup meeting in February. Mornington also has an active Yacht club, Mornington Yacht Club, located at Schnapper Point, catering for sailors of all levels abilities, from beginners “Tackers”, through to those competing at ocean racing level. The club hosts many state, National, & International regattas, as it provides a good location in sheltered, pristine waters. 2014 saw the successful running of the largest single class Yachting regatta ever held in the Southern Hemisphere – the Optimist National Championships. The Optimist is a youth class and drew over 2000 people to the Club and Mornington shire. The town’s main shopping area is known as Mount Eliza Village. It is situated at the intersection of Canadian Bay Road and Mount Eliza Way. The village is a bustling centre of activity and is well served by many businesses, including all four major banks. Two major supermarkets, Ritchies Stores Supa IGA and Woolworths can be found along with many specialty shops. There are many sporting clubs in Mount Eliza, but most notable is the Mount Eliza Football Club competing in the Mornington Peninsula Nepean Football League which has produced many AFL players. There is also Mt Eliza Cricket Club which is one of the most successful Cricket Clubs on the Mornington Peninsula with ten First Eleven premierships and a total of more than 55, including the Juniors. During the 1980s the club was heralded as the largest cricket club in Australia with nine senior teams and eight junior teams. There is the Mount Eliza Soccer Club, which caters for 430 adults and children aged between six and 16 years old, competing in the Football Federation Victoria Southern League and Bayside League. Mount Martha is situated between Mornington and Safety Beach on the Mornington Peninsula, fronting Port Phillip. While Mount Martha offers only a small commercial centre in Lochiel Avenue, it is an ideal destination for those visitors seeking a scenic and less commercial holiday location where the surrounding bushland meets the coast. Safe swimming beaches with wide sandy stretches exist just north and south of the commercial centre, lined with rows of colourful bathing boxes. However, much of the coast around Mount Martha typically consists of rocky cliffs with bushland up above, offering a number of walking tracks and scenic viewing spots. A worthwhile drive is along the Esplanade – a coastal road linking Mount Martha with Mornington in the north and Safety Beach in the south. This hilly and winding road hugs the steep coastline, with views down to the bay on one side, while exclusive homes perched high above the coast feature on the other side. Other attractions in Mount Martha include Balcombe Creek, which swells into a wide body of water near the coast and is surrounded by a boardwalk and is home to a rich selection bird life. Also of interest to nature lovers is Mount Martha Park which consists of 53 hectares of native bushland and walking trails surrounding the 160 metre peak of Mount Martha, offering panoramic views of the bay and towards Arthurs Seat. Fingal is a rural locality of the Mornington Peninsula abutting Bass Strait along Gunnamatta Beach and lying between the suburbs of Rye and Cape Schanck. Its local government area is the Shire of Mornington Peninsula. The Cape Schanck Lighthouse was built in 1859 as the second coastal lighthouse in the Australian state of Victoria. It is located on the southernmost tip of the Mornington Peninsula. The tower was built from limestone, it is 21 metres (69 ft) tall. The light’s focal plane is situated 100 metres (330 ft) above sea level, the light characteristic is the Morse Code letter “N”, a long signal of 10.8 seconds followed by a flash. Depending on the bearing of the light, the colours are either white (south to west sector) or red (east sector). Due to its powerful lantern of one million candela and a first order Fresnel lens, which was installed in 1915, the light has a range of 26 nmi (48 km). The lighthouse was not only one of the first such buildings in Victoria, it was moreover Australia’s first lighthouse tower with stone stairs. During the 1970s and 1980s the facility was restored and has since become an attraction for tourists. Today there is a museum in the old assistants’ quarters. Accommodation is available in the old residences of the lighthouse keeper. Rosebud is a large beach-side centre fronting Port Phillip on the Mornington Peninsula, located between Rye and Dromana. The town was named after the English schooner that was blown ashore in 1855, a short distance to the west of where the Rosebud Pier now stands. Rosebud’s commercial centre stretches along one side of about a 2 kilometre length of Point Nepean Road, with some shops separated from this wide thoroughfare by a service road. The shopping precinct features attractive garden strips, paved areas and several wood carvings of notable local identities from the past. At the western end of the commercial strip is the large Rosebud Plaza Shopping Centre, while towards the eastern end is the smaller Rosebud Beach Shopping Centre, Rosebud Central Shopping Centre and local cinema complex. Rosebud provides safe swimming beaches along its continuous stretch of sandy bay coastline, with the focal point being Rosebud Pier which it located opposite Jetty Road and extends about 300 metres into the water. A notable feature of Rosebud’s bay foreshore is a lack of commercial development. Most of the area between the coastal route of Point Nepean Road and the beach consists of community facilities, parkland and camping areas within sections of bushland. A striking landmark in Rosebud is the bushy mountain peak of Arthurs Seat. It rises up in the distance behind the shops along Point Nepean Road and provides a scenic backdrop when viewed on Rosebud’s beaches. Rosebud provides plenty of sporting activities for visitors. As well as several golf courses within Rosebud itself, more can be found a short drive inland at Fingal and Boneo. Rosebud is also home to several large sports reserves including Olympic Park and Trueman Road Recreational Reserve. A 12 kilometre journey south of Rosebud along Boneo Road is Cape Schanck where a historic lighthouse crowns the rugged southern tip of the Mornington Peninsula. Sorrento is a popular tourist destination on the Mornington Peninsula, nestled between Portsea and Blairgowrie. It is situated on a thin strip of the Mornington Peninsula, facing Port Phillip in the north and the open waters of Bass Strait in the south. Sorrento’s commercial centre is located at the bay end of Ocean Beach Road. This wide, attractive boulevard features a variety of shops, restaurants and cafes with its major landmark being the multi-storey Continental Hotel which was built out of limestone in 1875. Other historic hotels include Koonya Hotel (1878) overlooking the foreshore and Hotel Sorrento (1871) on nearby Hotham Road. The crescent-shaped Sorrento Front Beach is flanked by an attractive foreshore area with lawns, shelters and English trees, plus a couple of small jetties. The sheltered waters make it ideal for swimming and other water activities. At the western end of Sorrento Front Beach is Policemans Point and the Sorrento Pier which is used by a passenger and car ferry which links Sorrento to Queenscliff on the Bellarine Peninsula. Climb the steps up the cliff face behind the Esplanade for spectacular views above Policemans Point where you catch watch the ferries come and go, and enjoy scenic views of Sorrento Front Beach. There’s also the restored railway platform which was used by the Sorrento Steam Tram between 1890 and 1921 to carry holidaymakers arriving by ferry from Melbourne to the ocean beach. Sorrento Historic Park, located on Point Nepean Road overlooking the bay, is a lush oasis which was first established in 1870. It features European trees, colourful garden beds, extensive lawns, BBQ facilities, a rotunda, children’s playground and walking tracks. Scenic views of Policemans Point, the surrounding beaches and across the bay can be enjoyed from the park which extends to the cliff tops. The main point of access to Sorrento’s ocean beach is from the southern end of Ocean Beach Road. The coastline here consists of stretches of sandy beach which back onto sand dunes and rocky cliffs. At the main car park is a cafe, the local surf lifesaving club and several walking tracks. Portsea is a town in the outer south-east of Victoria, Australia. It is located approximately 60 kilometres (37 mi) south of the Melbourne CBD, on the opposite side of Port Phillip Bay. The townsite is located on the bay itself, but the locality boundaries stretch as far west as Point Nepean and incorporate a section of Bass Strait coastline. Portsea is the westernmost town on the Mornington Peninsula, and lies adjacent to the town of Sorrento. It has one of the highest average incomes in Australia. Portsea was considered by many to be the hub of Melbourne’s recreational scuba diving activities. At one time there were as many as four dive shops in the main street of Portsea. Dive charter boats still travel from Portsea Pier to sites both inside Port Phillip and outside Port Phillip Heads, also known as “The Rip”. The Portsea Pier is the home to the spectacular weedy sea dragon, as well as many other fish species, including numerous pufferfish. Boating traffic is frequent, and divers should be careful to avoid main boating routes. After dredging was done to deepen the entrance to the bay for shipping there was increased surge at Portsea Pier and within a year Portsea Beach was gone. Portsea Back Beach is a big attraction in Portsea, due to its great surfing conditions and long stretch of sand. Portsea Surf Life Saving Club patrols the popular surf beach, as patrols are always needed during the summer period given the large waves and strong tides that are often present. Corsair Rock, just at the entrance to Port Philip, is a well-known surf spot to locals and professional surfers. However, it is not advised to surf there unless you are an experienced surfer and, for safety, are accompanied by somebody in a boat nearby. It is considered a very dangerous location. The rip can run out as fast as 8-10 knots. Blairgowrie is a seaside village approximately 87 km from Melbourne, Victoria, Australia. Its local government area is the Shire of Mornington Peninsula.Blairgowrie is located near the western tip of the Mornington Peninsula, between Sorrento and Rye, and is one of many popular holiday destinations for Melburnians along this narrow peninsula strip. It is bordered on the north by Port Phillip, and on the south by Bass Strait and a series of surf beaches interspersed with spectacular cliffs and rocky ledges. It is frequented by tourists in the summer months, and has been featured on numerous travel programs. The coastal town of Rye is situated on the popular holiday destination of the Mornington Peninsula, nestled between Rosebud and Blairgowrie. Point Nepean Road is Rye’s main thoroughfare, running parallel to the town’s bay beach. The main concentration of shops is located east of Dundas Street and includes a hotel, eateries, a major supermarket and other retailers. Rye’s main beach, fronting Port Phillip, offers safe sandy beaches, ideal for swimming and boating. There is a jetty, several boat ramps, and attractive foreshore facilities with picnic areas, shelters, playgrounds and walking tracks. Around a kilometre west of the Rye Jetty is an outcrop of land called White Cliffs. At the base of the cliffs is a reconstructed old Lime Burners Kiln – a reminder of the mid-1800s when the extraction of lime was the area’s primary industry. Scenic views along the coast can be enjoyed from lookout above the kiln.